Since 2018 it’s been possible to control your Nest Secure alarm system using Google Assistant, but until now, you could only do this using a Google Assistant-powered gadget like the Google Home or an Android smartphone. Now, Nest has announced that you can enable Google’s voice assistant on your Nest Secure directly, essentially turning the alarm system into a Google Assistant speaker – albeit, one that can’t actually play music. So what can you do with the new integration? Well, by changing your settings in the Nest app, your Nest Secure can be constantly listening for your instructions or questions. If you already have a Google Assistant speaker or screen like the Google Home Hub or Google Home Mini, you might be wondering why you would want that; however, it could be extremely useful to have a voice assistant right by your front door if you want to get a quick overview of the day’s weather, or you want to set your Nest routines before leaving. Of course, you’ll still be able to communicate with your Nest Secure via a separate Google Assistant device like your smartphone. This means that, if you’ve left the house in a rush and forgotten to set your alarm, you can still arm the system by giving a voice command to your smartphone. Nest Secure is a modular security system comprised of a few different components, including the Nest Guard. This is the brains of the operation, and acts as the alarm and keypad as well as a motion sensor. Shaped like a hockey puck and smaller than the Amazon Echo Dot, you tap your Nest Tag (which we’ll get to in a bit) to arm and disarm the system. Nest Secure also includes a battery-powered motion detector, called Nest Detect. You place it on the wall and and it can sense when doors or windows are open, and picks up movement in rooms. 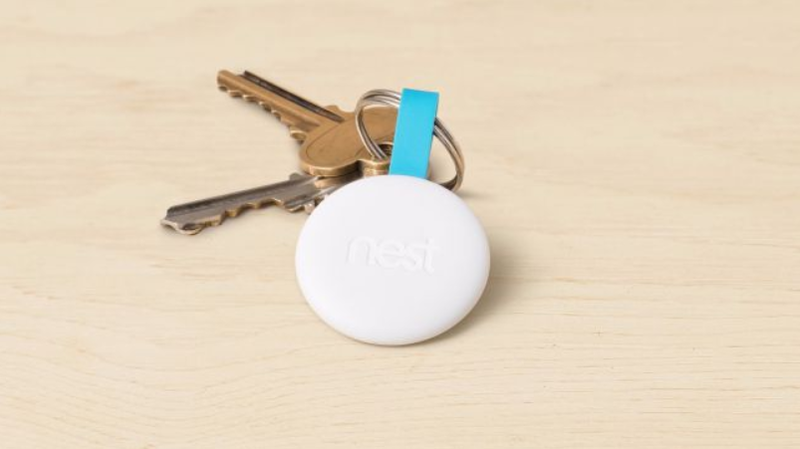 The aforementioned Nest Tag is a small tile that can attach to your key chain. It allows you to arm and disarm your security system without needing to input a passcode.